The biggest challenge for the authentic, botanical perfumer is that many people have no clue as to what a "botanical" perfume is, let alone one that is made by hand with a mission to illuminate the hearts and minds of sentient beings around the world. Although I do everything I can think of to describe my products with as much clarity as possible, there always seems to be room for more, thanks the nemesis who is willing and ready to help you refine. "The fragrance is admittedly exquisite - I can't stop smelling the wrist I applied it to - but the quantity is simply too little for the price.. especially given that this a relatively dilute alcohol-based product." So, she loved the actual item but thought it was too much money. Ummm, Impromptu is the less expensive perfume in my shop, gee, good thing she didn't order GreenWitch! Dilute, Impromptu, wow I have never heard that term associated with this fragrance. She must be using some pretty toxic synthetic perfumes or her nose is totally fried. Probably both. "Thanks for getting back to me. Let me reiterate that 'Impromptu' is phenomenal - one of the most gorgeous fragrances I've ever experienced. I also acknowledge that it is a hand-made product. However, the price ($15) still seems too high for the quantity (.5 g). For instance, a .7 ml 'sample' of By Kilian's 'Incense Oud' Eau de Parfum, one of the higher-priced 'niche' fragrances, is available at an online supplier for $5. Both 'Impromptu' and the 'Incense Oud' EDP are alcohol-based. If .7 mL of pure alcohol is equal to .5 grams of the same (I ran the calculation based on an 18 mL = 14 g conversion formula supplied on a U.S. government web site), then you are charging three times the cost of a By Kilian oud/agarwood eau de parfum for your product. I would suggest charging a more realistic price for your product, one that's more in line with what your competitors in the marketplace are charging." 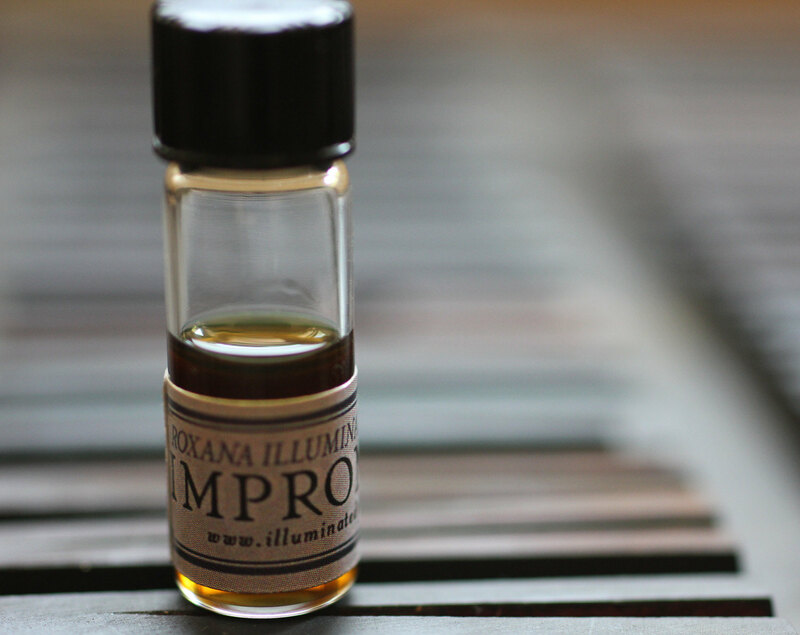 Impromptu is a handmade, botanical perfume. Thus, to compare apples to apples I suggest running the numbers based on a comparable brand. Let's break things down, here is an article titled "Behind the Spritz" which goes into perfume costs for big brands, notice the marketing budget. The reason these fragrances are so inexpensive is that they are using synthetic fragrance materials. One of the perks of these materials, besides that they are very cheap, is that they are stable and since they are fabricated with petro chemicals (plastics) will last on the skin for a very long time, sometimes forever, like the prevalent synthetic musk keytones. In your note you mention alcohol, this is a really good example to use as a comparison. Bigger brands like Killian use standard perfumers alcohol which is ethanol combined with other ingredients. The alcohol I use comes from a small lab in Oregon that produces beverage/pharmaceutical grade, 190 proof grape alcohol. I often infuse my alcohol with plant matter, usually grown organically from my native plant garden. Unlike Killian, who by the way doesn't actually make his perfume, he is just an art director working with a perfume house. I work on all levels of my product, from concept, formulation, growing the plant materials and everything involved with marketing including the photographs, graphics and words. My palette is botanical, the way perfumes were made hundreds of years ago before synthetics were synthesized in a lab. Although I refrain from using isolates and historic animal ingredients. 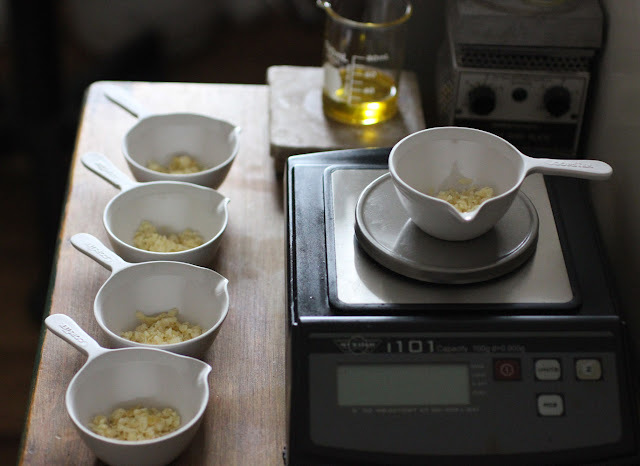 Since I have a background in aromatherapy I bring that knowledge to my work as well as the very finest raw materials available to both the aromatherapist and the botanical perfumer. For the Killian brand this is not even an option because they would have to charge exuberant fees for their fragrances and also could not compete in the world-wide, retail perfume world, which btw, I am not part of. My intention is to make the most exquisite botanical perfumes that will bring awareness to nature, thus the word "illuminated" in my company title. Impromptu has garnered a huge following and raves by the perfume blogging arena. My niche market isn't those who buy Killian, it is a much smaller, select group of aware individuals. Roxana Illuminated Perfume is appreciated in over 70 different countries and within every single state in the US. The customer base ranges from: those who are allergic to synthetics; want to support the lost art of botanical perfume; the vision of the brand; those who want a perfume crafted by the hand of an artist; those who want to support nature and a combination of those. As you can see, this has nothing to do with the brand Killian or even the product they produce which is almost completely synthetic, although they don't want you to believe that. Also, take into account that Killian is being sold at retail outlets, my fragrances are only sold by me, online, at the moment. Of all my fragrances Impromptu is the least expensive because it was created as a gift to my patrons, all my other 1 gram samples begin at $25." So there you have it, the ball is back in her court. Talking to someone about botanical vs synthetic is akin to talking to a Republican, it is probably point less. However, at the very least it helps me to refine my position. Your fragrances are worth every penny. Besides all of the actual and obvious reasons your creations should cost more, there is also the plain fact that you created it and can charge whatever the hell you want, feel, and think is deserved. I would personally pay you whatever you wanted for these living memories in a bottle. My husband and I both are now using only your fragrance and are happy to support you and your art. Thank you Roxana! Jamie, I thought about the fact that I can indeed charge whatever I darn well choose just after I published the post. I adore your support and kind words, thank you! I love your comparison of this lady to a republican. So spot on. She obviously does not understand the process of using botanicals to make perfume along with quality alcohol used in your creations. Also personally being responsible for packaging and marketing too. It is a large undertaking with little breaks to run your own business. Her even thinking of comparing you to a large conglomerate perfume business is completely inappropriate and not even a comparison. Your perfumes are beautiful, based on quality not quantity. She is nuts! I don't need to tell you how much I adore your fragrances. I no longer look elsewhere in fact as you create more then enough to keep my senses engaged. Also the variances that occur from time to time with your synergies adds to the glory of it all. Impromptu has become a favourite of mine and I love the complex journey it takes me on for 10+ hours. Comparing your perfumes with the mass synthetic market arises from ignorance and the fact that so many people have become so far removed from nature, they think the synthetic world (from pharmaceauticals, artificial foods and the vast array of personal and household products made with synthetic aroma molecules etc) is normal. I'm very happy to pay for your perfumes as they are wonderful and go beyond merely annointing oneself. Thanks so much Roxana, I appreciate you everyday as I wear your'Illuminated Perfumes'. Having a conversation with someone who lacks awareness and does not share your values can be very frustrating. Obviously this lady does not value that which is so precious to you. There are plenty of people who love your creations and appreciate the integrity which you create with. I have never experienced your fragrance yet I was instantly attracted to your blog because I can feel your passion and love for the art of botanical perfumery. I will be ordering your perfume any day now and I do not have any issues with your prices. There is no comparison of what you do and the mass-produced fragrance. Many people out there get it without any explanation. I second the above comments Roxana. Don't even try to explain to her personally, she won't get it. Nothing personal against her but it doesn't sound like she is your market, however much she likes your perfume. Your market (and by the nature of what you do it is a much smaller one than many perfumers) is the people who do get it, without having to take up so much of your precious time, which could be spent doing what you do best. How fortunate I am to express a cathartic moment here at this journal and have the cavalry come out in force! Wow, I feel truly blessed by all you gorgeous, inspirational women. Thank you for reminding me to focus on YOU and what is most important. As a gesture of gratitude I have some accumulated goodies to send to each of you. I will include Karen and Angies in their recent orders. Jamie, Magdalena, and Maggie could each of you please e-mail me your addies please? It isn't necessary to continue your conversation with the disgruntled customer. I doubt her mind can be changed, but it is really helpful to lay this all out for yourself, as you say "to refine your position"
Personally, I love your perfumes and feel they're worth every penny! I also suspect - aside from materials cost - you still aren't charging as much as you should based on all the time and effort involved in owning and running your own business. I can't tolerate synthetic fragrances; besides the headache they give me, they all smell the same to me, nothing special (in my opinion anyway). Your fragrances are complex and beautifully made. I love knowing the care you put into each one; I love knowing that the alcohol and beeswax are carefully sourced as are the other materials. I'll admit I don't always wear perfume, but I always have a few samples (and my Green Witch compact, that fragrance is just incredible!) in my purse just in case I need a boost. Just the aroma is uplifting and cheers me up. 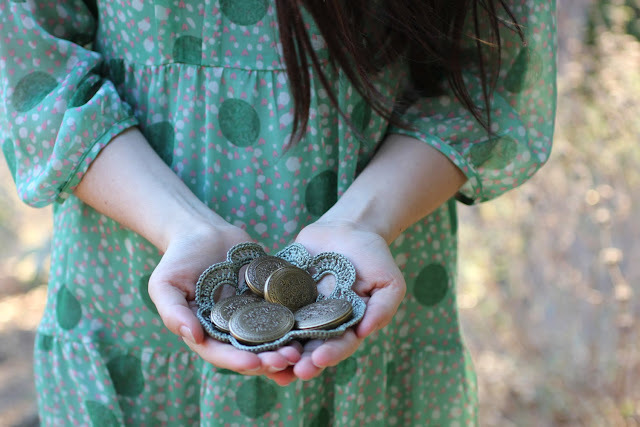 As one who knits and weaves, I've often been offered money for my projects - money that is comparable to something you'd find at a department store and people are shocked when I tell them what I might part with it for. Many don't value the workmanship that goes into a handmade product. It's always compared to the mass-produced one and there just is NO comparison. Your prices reflect your artistic talent and your commitment to your fragrances. I, for one, appreciate being able to actually wear perfumes again. Thank you and please continue your art! I'm in the minority here, but I think you should send it. Seems to me she wants to be educated, so educate her! You've already taken the time to write the response, so why not send it? The only input I have, has nothing to do with the "letter", but rather the Republican comment. You know I am a tried and true Democrat, but there are plenty of Republicans who appreciate natural perfumes, the last thing you want to do is alienate them away from your business. And why is it pointless talking to a Republican anyway? You can't very well lump everyone in a big pile and do away them can you? Educating is wonderful when people are interested to learn. The point here I believe was not the lack of understanding but rather not a shared value. Roxana's creations are very precious to her (and to many people who love them). We see it in the way she writes about and presents her perfume... lots of care.. lots of love. It is an art or expression of the soul... This particular client does not really care about that aspect, she is rather interested in the price. Finance is probably her driving force in life. She will not pay extra even if she loves the product. It is her choice... Attempting to understand each other while coming from such different angles will probably be a painful and not a very successful experience... but I am sure Roxana will know the best how to wrap this up. Fear is a funny thing you know... You can not please everyone. Somewhere you need to give yourself permission to be authentic in what you say and do even if it does ruffle some feathers sometimes. Thanks for chiming in Cymbaline, a pleasure to have your voice here amongst this awesome tribe. I've done the numbers and am good as long as I don't cut the prices in half for wholesale. Instead of doubling my prices to accommodate the retailers I've been developing another line, which got pushed back a bit due tremendous amount of orders that came through the Etsy feature. Anyway, we are still working on that line, can't wait to debut it! Alison, it is so very true that many people just don't value handmade artisan goods and the beauty of raw materials from nature. Its all about finding ones people, which takes time. I have a particular weakness for beautiful, handcrafted weaving. It is such a glorious art form. Kudos to you for placing a high value on your work and not selling out! Hey Trish, how wonderful to have you stop by for a visit, I thought you had left cyber space! I did send the gal the note, although a slightly different draft than this one here. She has not yet responded and I am very curious if she will and what she will say. 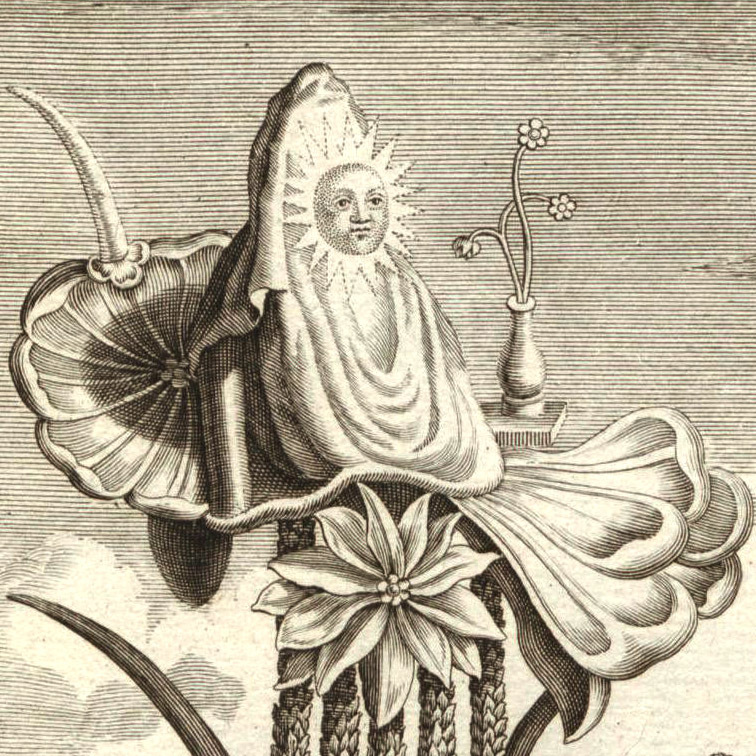 A huge piece of botanical perfume is education and I have the soul of an educator, whether I like it or not. Ah, and the Republican comment...well obviously those that I have encountered must be very different than the lot in Portland. In general when it comes to politics it seems people in general come from a very emotional place. I mean if you look at things logically, with no emotional charge, its obvious what is good for the good for humanity and the planet. The comment was made out of frustration with having to continually reiterate what is already been mentioned in my listings, "About" page and the Etsy feature. It is the same frustration I had when speaking with smart women who were keen on voting for Romney despite that their rights would become limited and their lives would be made worse for it. Magdalena, thanks for chiming in with your wisdom. I think you hit the nail on the head, the gal does not have a shared value. I've come to realize that the downfall of the way people find me on Etsy isn't necessarily via a search of natural perfume. Thus, when they receive the item there expectations are not met due to their construct. This gals construct of niche perfume is Killian and she obviously believes I should be put in that box. Like trying to shove a round peg into a square whole. As mentioned above, I am very curious if she will respond and if so what she will say. Thus, this story is still a mystery, whether there will be a sequel is still undetermined. No matter where people will find your perfume Etsy or elsewhere, there always is going to be someone who says it is 'to expensive'. This is Ok. I deal with it in my practice every once in a while. The best way for me to deal with it is to simply say (and I truly mean this)- 'I am sorry you find my service to expensive but this the price. Thank you very much for inquiring.' That's it and I move on... I do not want to spend my time on convincing anyone that my service is worth every penny because I know ( and people who see me know as well) how much I put into every service I offer. From experience, I also know, even if my prices were much lower there still would be people who would say it is to expensive.... So at the end, everyone needs to price their services or products according to what makes sense to each individual. I whole heartedly agree with you Magdalena. When I sent the note to the nemesis I actually told her it was clear she was not my niche market. I responded because I think its important for her to realize that there is something out in the perfume world that is different from main stream/large corporate niche. Roxana, I'm sorry you had to deal with this, but I'm glad you have such a supportive community around you. I've have run into similar situations when people question the price of letterpress. It always puts my hakels up to feel like I have to defend my work. Listening to these responces is helpful in finding a new perspective on these types of situations. I adore your work. Yea, I can imagine that some people would have a difficult time understanding the cost of letterpress, at least until they witness the process or try it out themselves, ha! Thanks for chiming in here, its really appreciated. Totally with you on this. Foolish person, and as with all such, it's always diplomatic to give them the benefit of the doubt and try to educate them. They might genuinely not know, be ignorant and innocent. Have to admit I'm not that charitable a soul, and am upset that someone might have the power to buy something expensive but lack the wisdom to value it properly. But: explanation's always a good idea, just in case. 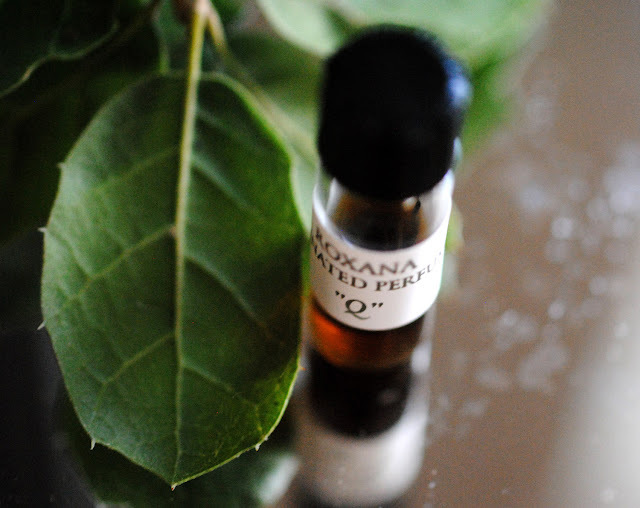 Roxana, i started out with a sampler of your incredible solid perfumes and very quickly decided that the fragrance I felt truly drawn to was Chaparral. So now I have my own amazing scent I carry with me everywhere and I totally love it! I have to tell you that I had never in my 59 years -- ever -- bought perfume. Or cologne. The synthetic ingredients in perfumes literally make me sick. I even have to avoid hugging certain friends who wear perfumes because I know I will get a headache from just a little of their fragrance on my clothes or hair. However, a friend recommended your botanicals and though I hesitated almost a year to order a scent online, when I took that chance I was pleasantly surprised! Chaparral makes me feel like I'm hiking through sage and scrub oak, brushing against sumac, casually crushing a leaf of mountain mahoghany in my fingers and breathing its sun dried aroma as I walk. Wearing Chaparral brings me closer to Nature... reminds me to pay attention to every tiny sound and watch where I am walking even when I am in a big city. I feel good when I smell it -- never sick. 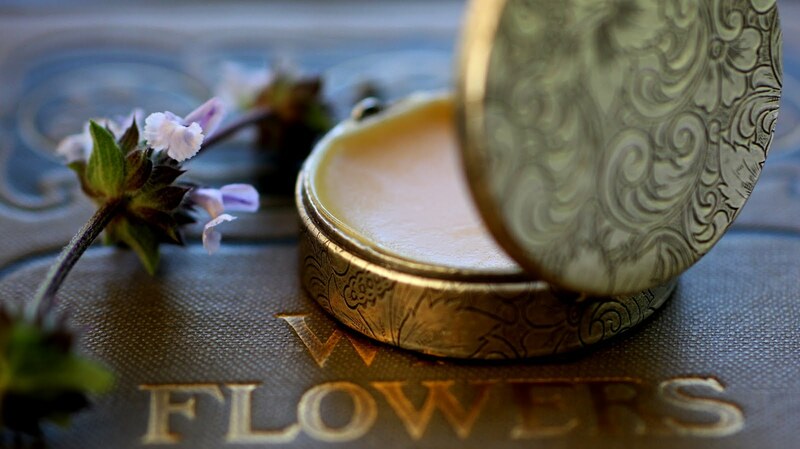 This lovely solid perfume is worth every penny I paid you to support you as an artist who helps me feel that amazing! I love love love your products and only wish I could afford to buy every one of your perfumes. We live very simply out here in Montana and I don't need them all. But I will never, ever buy another brand of perfume unless you quit making them! Yours are all I would ever need. I just hope you know how lovely it is that you make your living crafting such inspiring fragrances from Nature's purity. Thank you for doing what you do.